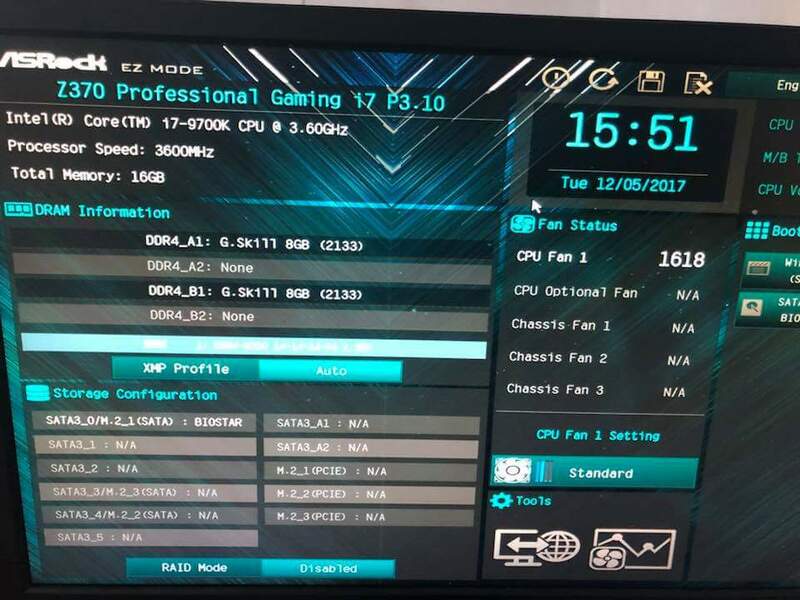 Intel’s 9th Generation Core i7-9700K has been spotted running at overclock frequencies on a Z370 motherboard. The processor was not only seen running at overclocked speeds but also got some performance benchmarks with all cores overclocked beyond 5 GHz. 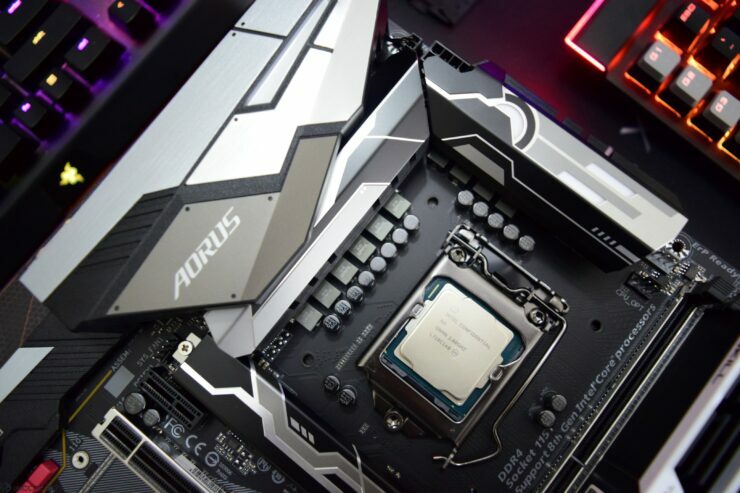 One thing we are really interested to see is how the soldered IHS design would help overclockers in reaching the highest frequency on the new 8 core processors. Both 8 core unlocked processors are going to feature the soldered IHS design and that would help a good bit when it comes to temps and better heat transfer between the CPU die and the IHS. AMD has already previously used IHS with solder on their Ryzen and Ryzen Threadripper processors and that did wonders when it came to CPU temperatures. The chip that we are talking about here was tested on an ASRock Z370 Professional Gaming i7 motherboard with 16 GB of DDR4-3600 MHz memory. The Core i7-9700K shows up as it should within the BIOS with its stock frequency of 3.60 GHz which we mentioned above. Intel Core i7-9700K Overclocked to 5.5 GHz across all 8 cores on a Z370 motherboard. 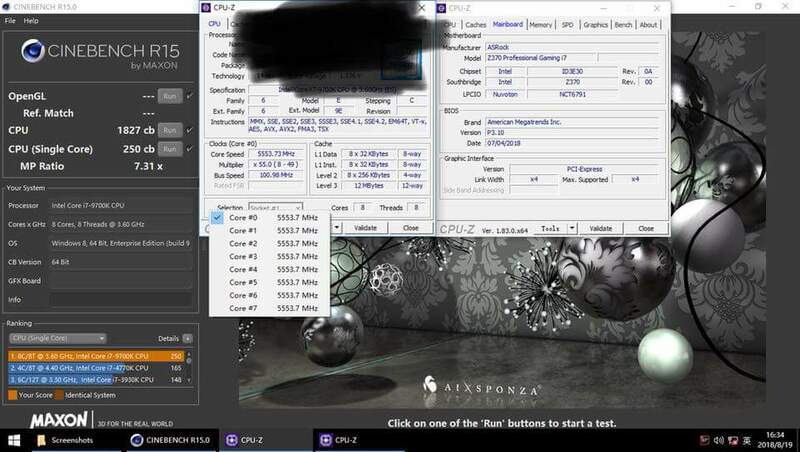 The more impressive thing about this leak is that the chip was overclocked to 5.5 GHz across all cores on water cooling. A voltage that’s presumably 1.536V was used and to be honest, that is a bit too much for the chip but regardless, the chip was able to run all it’s 8 cores at 5.5 GHz and the leaker even provided us the performance benchmark in Cinebench R15. The chip scored 250 points in the single thread and 1827 points in the multi-thread benchmark. 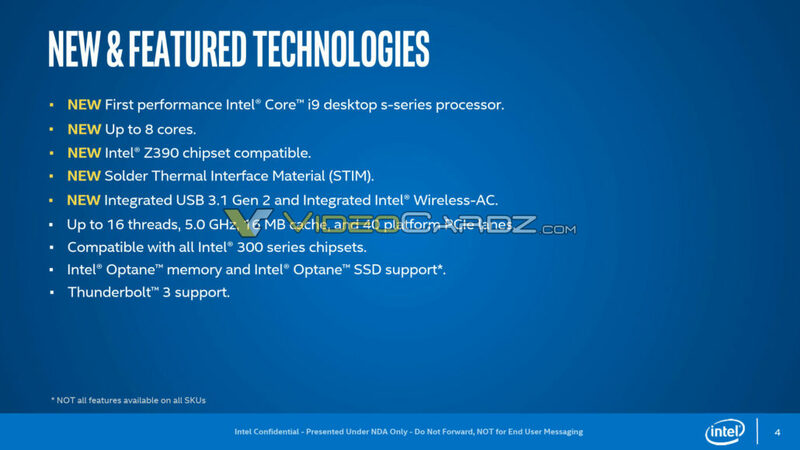 There’s no doubt that Intel’s 9th generation lineup would feature the fastest 8 core models for the mainstream market, even rivaling 10 and 12 cores when overclocked.